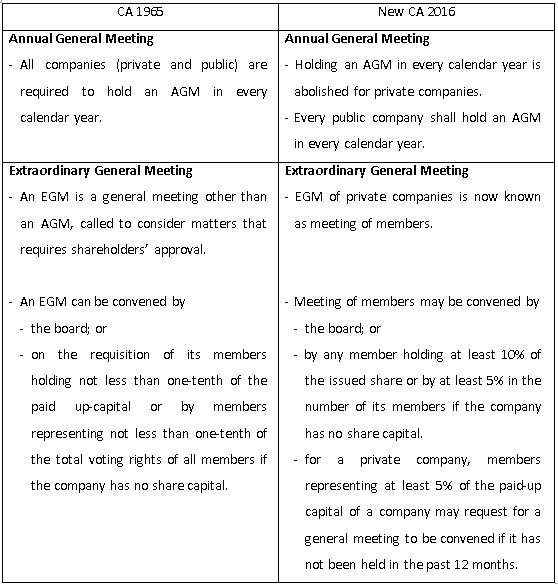 The two types of general meetings, Annual General Meeting or Extraordinary General Meetings, held by companies are to ensure that directors can account to the shareholders on their management of the company. It also provide shareholders an opportunity to raise issues before voting on matters which require their approval. In the new CA, the lodgment of annual returns and financial statements with the Registrar are done separately. 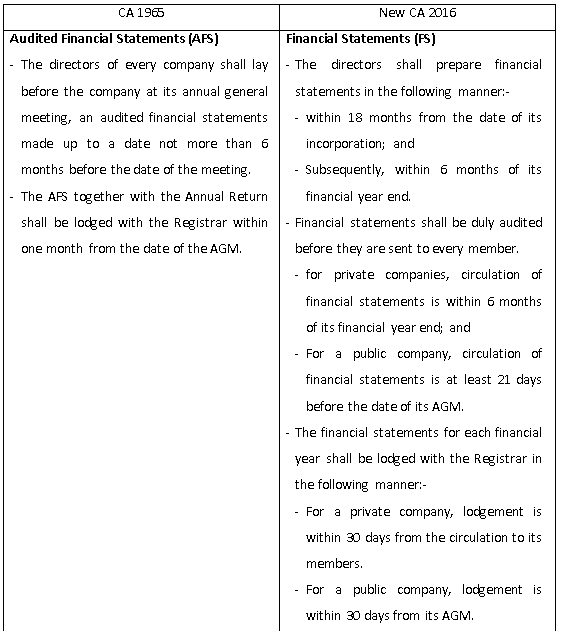 There is a timeline to circulate the financial statements amongst the shareholders. 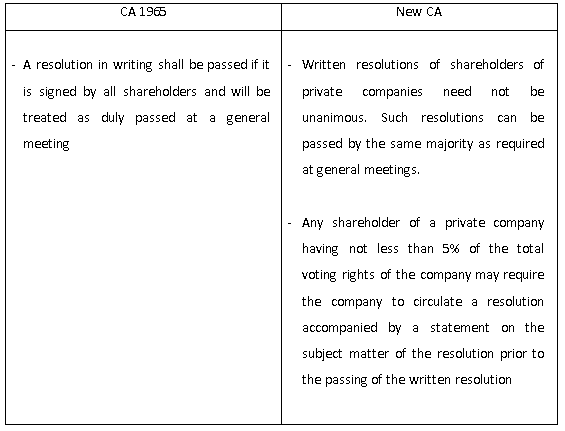 A private company will enable to make decisions with written shareholder resolutions.